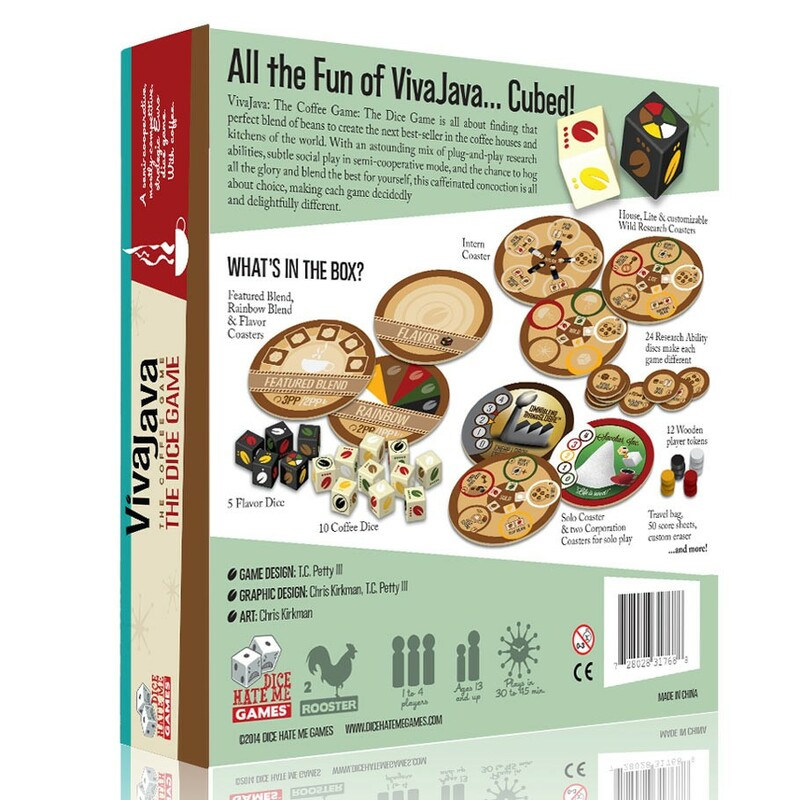 VivaJava: The Coffee Game: The Dice Game - or, more simply, VivaJava Dice - is the successor to the well-received 2012 release of VivaJava: The Coffee Game. As in its predecessor, players of VivaJava Dice take on the roles of employees at the VivaJava CoffeeCo., scouring the globe for the best beans to keep the company on top while keeping themselves one step ahead of the rest of the executives. Also as in VivaJava, VivaJava Dice has players making the crucial decision between blending beans and research, but with a quick, new twist. Players must now use the dice in their pool to blend - using the beans to create a best-seller for quick points, then deciding whether to press their luck in subsequent rounds for bigger points but fewer dice as the blends degrade - or to research, which involves using their valuable beans to gain an ever-changing variety of dice-manipulating abilities, new ways to score, and paths that lead to aiding a competitor for a later payoff or hindering that competitor for immediate gratification. 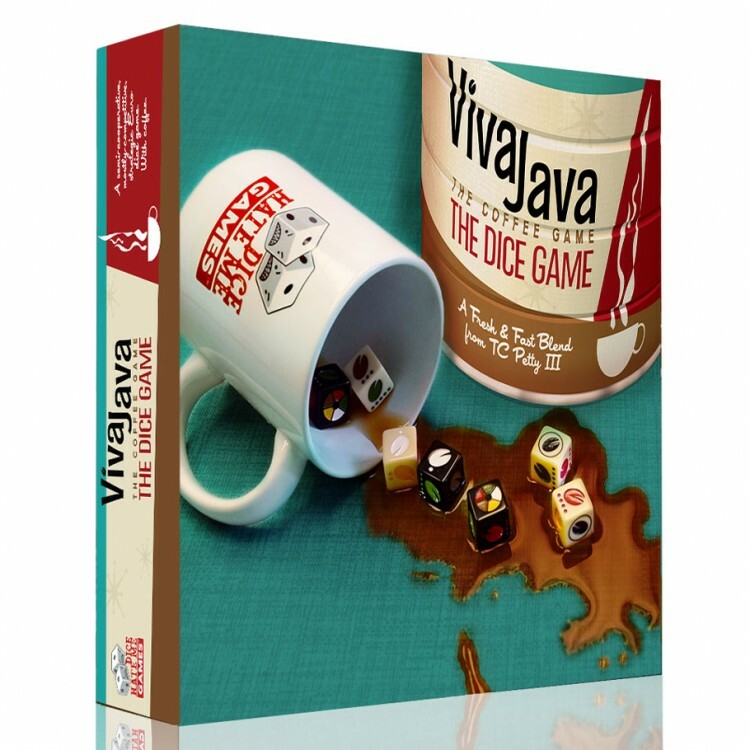 VivaJava Dice also offers a unique system of cooperative dice-rolling that can help you rise to the top, but at the price of someone else riding your coattails.